By Miryam Lightbody. Photos by Simon Patterson. 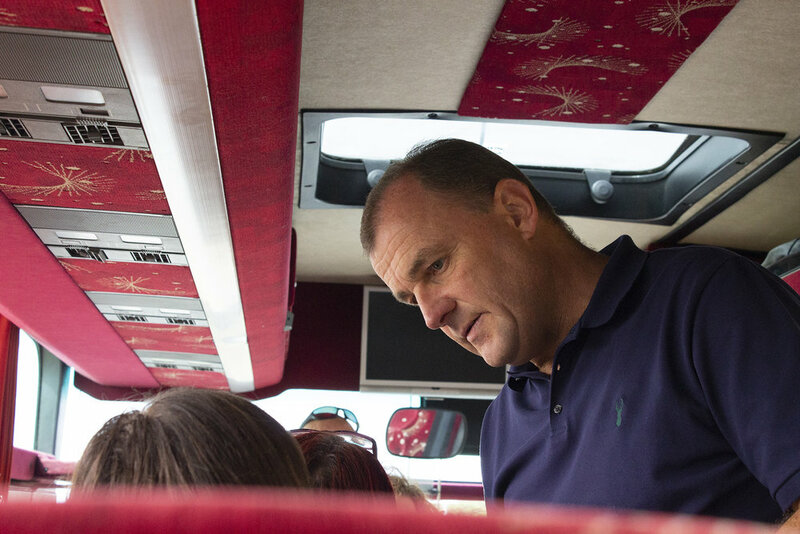 The Open Doors bus boarded at Sligo IT and headed off on a tour of the west and of faith, filled with Christians from different backgrounds. We heard was from a missionary called Samuel* about his experience in Vietnam. He spoke of one night in a hotel when he was told to board a motorbike and that the driver would take him where he needed to go. He describes the dark of night on the back of the motorbike heading outside the city and into the jungle. Just that week, nine church leaders had been arrested for their faith. He asked the driver where they were going and was told, “It’s none of your business.” Finally, they reached a clearing in the jungle and under the stars he could see a church. Pulling back the dirty curtain at the entrance, by the light of a kerosene lamp, he saw 400 Christians praying. These believers had sent for him to help them pray for their pastors. They were so dedicated; one woman who was 102 years old had walked for four hours to get there. Do we go to such lengths to pray for our leaders and for other believers? Samuel* encouraged the mighty family of believers gathered in that secret church that they were encircled by a great host in heaven cheering them on to keep running their race, to not give up. God answered their prayer and all nine leaders were freed to lead their churches. Samuel* shared that we must be faithful in prayer and remember that when one part of the body hurts, the whole body hurts; we are united by our faith. Many true stories of missionaries and of Christians experiencing persecution followed as the bus roared towards the coast. We heard about Bible smuggling, and a true story of how prayers from home give real protection to missionaries. A missionary pair whose Bibles were discovered going through customs, experienced the power of the Lord when, amidst the shouting officials, a man in a suit appeared, closed their suitcases and let them go. 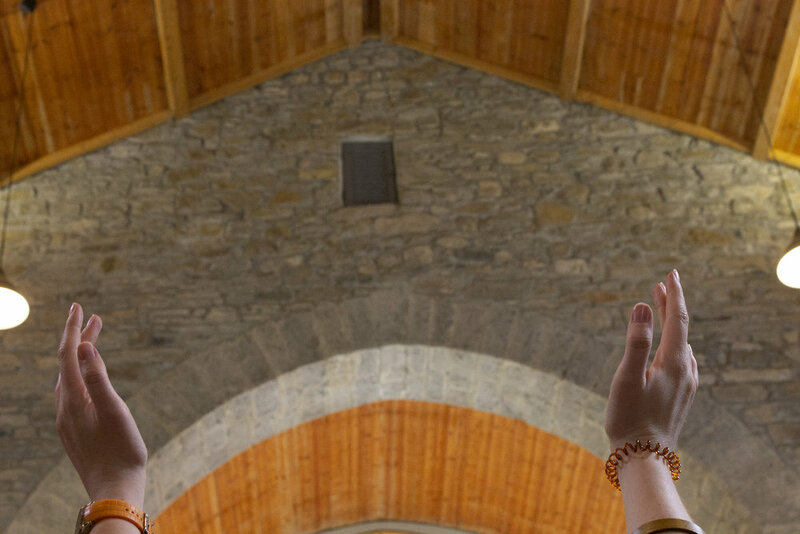 They couldn’t understand it until they returned to Northern Ireland and learned that their home church, at that very time, had been praying for an angel to give them safe passage. What a testament to the power of prayer! Our bus stopped along the coastal road for a Bible smuggler to board. Later, we experienced a police check where passengers were asked questions and their bags were checked. When the policeman found a Bible in a woman’s bag she was taken away. Lydia* shared that, if we were in North Korea, that woman and three generations of her family would be imprisoned. The smuggler showed us how his Bibles had not been found – there was a false bottom in his suitcase. Beth* replied “I am not afraid because the Mighty God is behind me and He will protect me.” The rebels left for some time, and then returned to ask Beth* to meet their leader. She stood before him and he was amazed that she didn’t shake. He asked her, “Who is behind you? Where do you get your strength?” With guns still pointing at her, Beth* told him of her Lord of peace and courage, and the leader broke down in the presence of God. Lydia* shared of another Syrian believer called Naomi* who was stopped by rebel fighters at the border and said to them, “The God of my heart is bigger than your guns.” The rebel leader broke down in tears and asked her to tell him about Jesus. Boarding the bus again, I spoke to Maria* one of the staff at Open Doors who shared the impact that reading God’s Smuggler had on her life. She used to be a teacher but God called Maria* and her husband to mission. On the coach back to Sligo IT, Lydia* explained the concept of our coach journey. 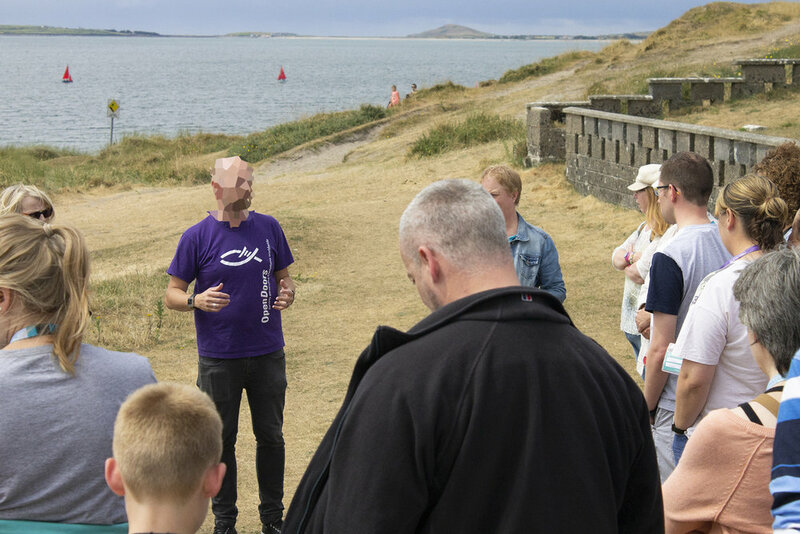 Often in places of extreme persecution, the church will pretend to be tourists and their pastor will be their ‘tour guide,’ as they stop at attractions and places of interest but really learn about the love and depth of Jesus, just as we did with Open Doors. Every story, we heard was punctuated by a plea from the believers who experience such extreme persecution to pray for them because they believe whole-heartedly that prayer works.